The authors and the University of California Riverside wish to retract this Letter owing to inappropriate image manipulation in the published figures. The figure panels affected are Figure 1b, d, Figure 2b, e, Figure 3a and Figure 4d. Nature has not received a response from Frank Sauer to approve this retraction. The paper been cited 220 times, according to Thomson Scientific’s Web of Knowledge. Molecular Cell is retracting this paper at the request of the Regents of the University of California, Riverside and author Frank Sauer, following correspondence that the editors received from the University and Sauer. This request followed allegations that were subsequently investigated by the Committee on Privilege and Tenure at the University of California, Riverside. The Committee concluded that in Figure S1C of the paper, gel bands were removed to create the image that was submitted for publication. The Committee further concluded that this manipulation constituted data falsification and fabrication as well as a significant departure from the accepted practices of Sauer’s research community. The Molecular Cell paper has been cited 116 times. Sauer still has a page on the UCR website, but the link to his page in the biochemistry department is not working. We’ve contacted the university for comment, and will update with anything we learn. Update, 5:30 p.m. Eastern, 4/16/15: A commenter notes that Sauer had a Cell paper retracted in 1998, making this his fifth. The Cell retraction notice suggests that it was retracted once a technical error brought their results into contention. Prior to the more recent spate of retractions there was nothing to indicate it as anything other than a genuine attempt to clean the scientific record. If such retractions were to result in future work being treated with greater suspicion during peer review, it would discourage researchers from cleaning the record after errors come to light. 3. This cell paper was an extension of their work published in Science 1995, 2 papers in a year in science, but the retraction of the cell paper marked the end of Tjian and Sauer co-authorship. A pubmed search with these 2 author names shows only 5 papers – 2 science 1995, cell 1996, a review article in 1997, retraction in 1998!! (should be open access), there is no indication regarding the retraction, and worse, neither is there in the pdf file available from that page. Isn’t this a minimum standard for retracted papers? Am I missing something? 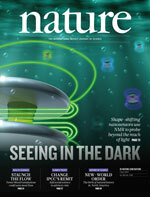 What about the first author on this Nature paper? He still has a group in Switzerland working on Trx/PcG proteins and this publication probably helped getting him there.